Simply Vegan is the new vegan mag designed to make it easy to enjoy your vegan lifestyle every single day. 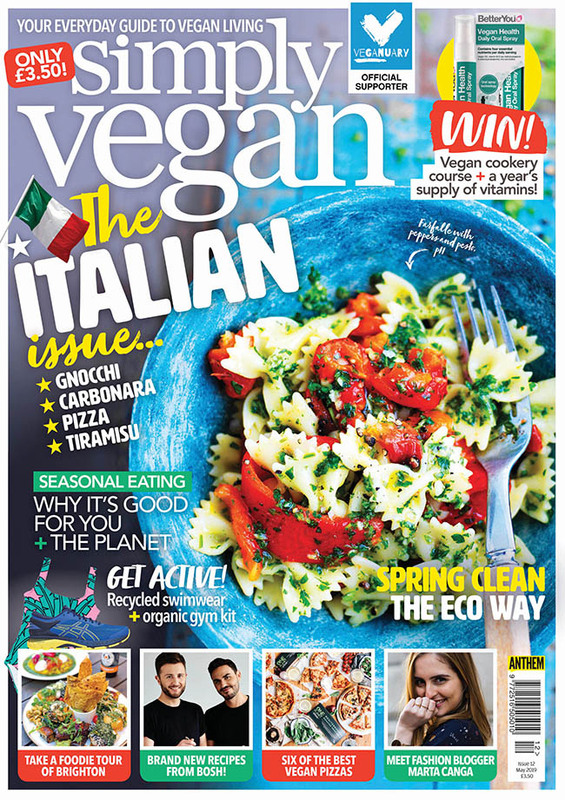 This brand new magazine is aimed at making veganism easy for the everyday vegan. Covering food and lifestyle, it is packed with easy, accessible recipes that don’t require odd ingredients or take too long to prepare, as well as supermarket taste tests, reviews of high street restaurants and cafes, plus beauty reviews, high street fashion, and nutrition basics –it’s everything a new vegan needs to get through life with ease! Put off by recipes featuring ingredients that you can’t pronounce? All of our recipes contain ingredients you’ll find in the supermarket. Want to know where you can find nice vegan shoes on the high street that won’t cost a fortune? We’ve got it covered. Keep up to date with the latest news, information and offers from Simply Vegan on Facebook and Instagram.